NOTICE: Whistle FIT is not a GPS tracker. There is no monthly fee for access to a cellular network. Whistle FIT is 100% free to project participants. Track activity, rest, calories burned and more to keep your dog in tip-top shape. 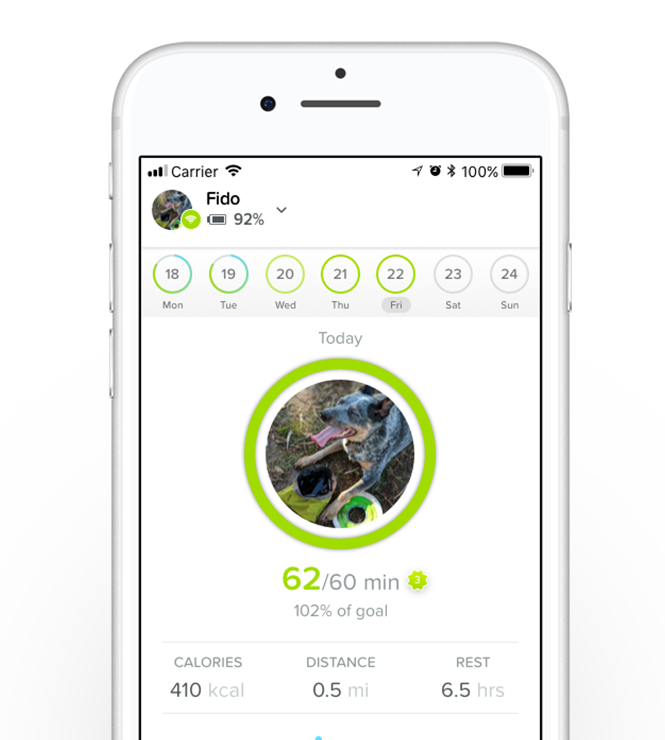 Use Whistle FIT to set your dog’s custom activity goals, and get personalized recommendations based on age, weight, and breed. Monitor how your dog’s activity impacts calorie burn to make more informed decisions about how much to feed.